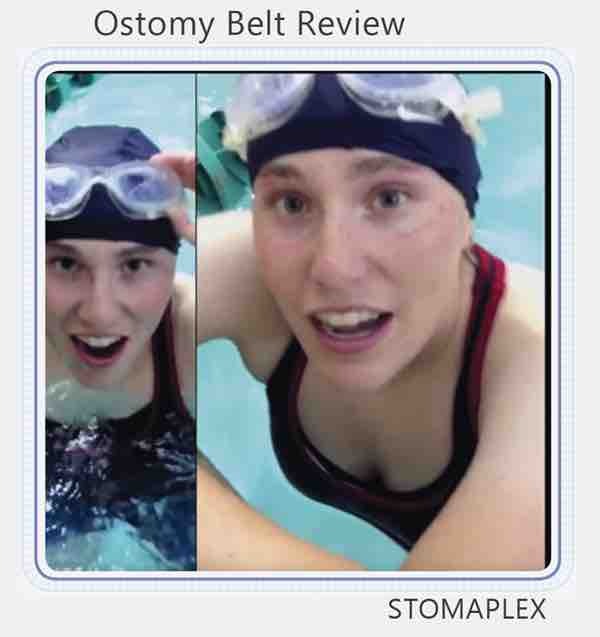 Ostomy Belts Made In The USA. The pressure from the guard helps keep the wafer pressed firmly and the contoured shape allows for proper flow without adding too much bulk. 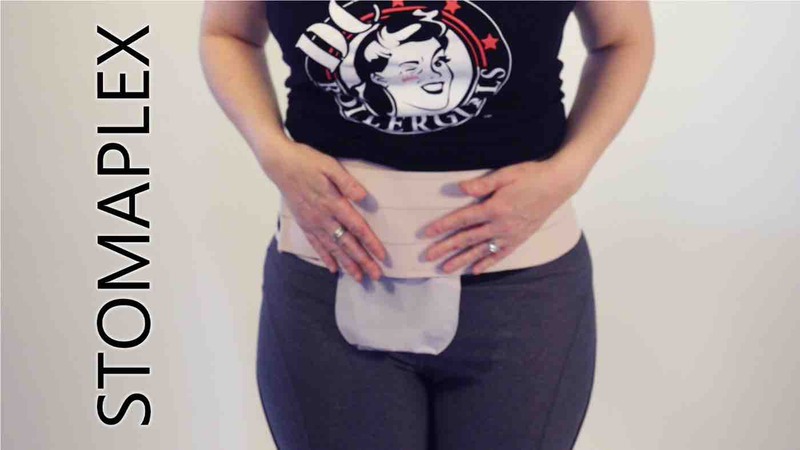 With this contoured ostomy protector, there will be no pressure on your ostomy for the best protection. 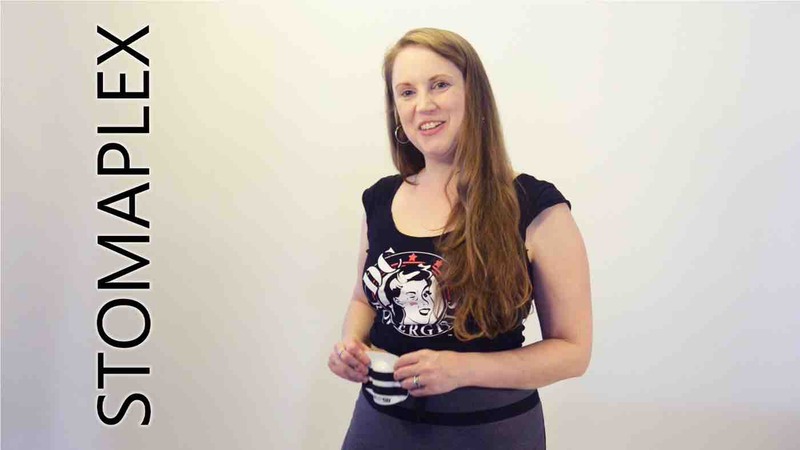 The belt and guard improves your confidence and allows you to wear your normal clothing. 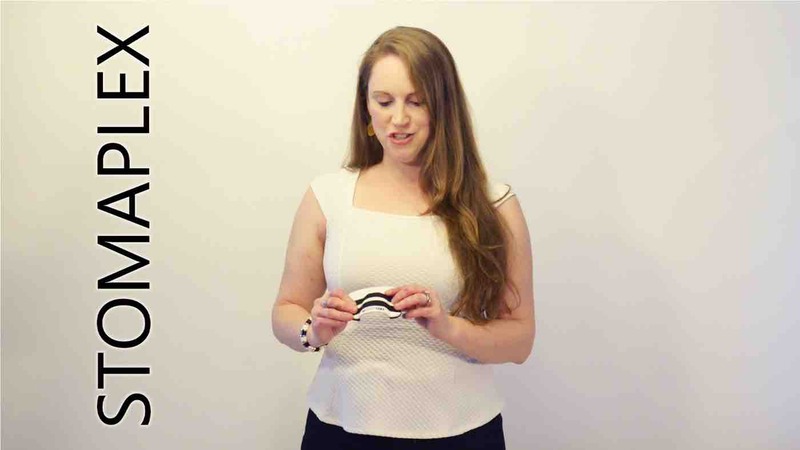 This belt is great for work in the office, job site, gym or swimming pool. 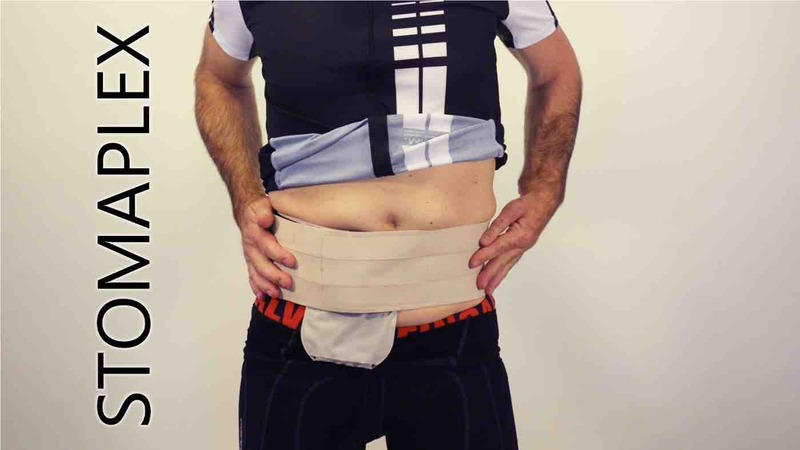 The belt and guard applies pressure that helps prevents leaks that can be caused by physical activity or spending time in the water while swimming this is the protection you want. 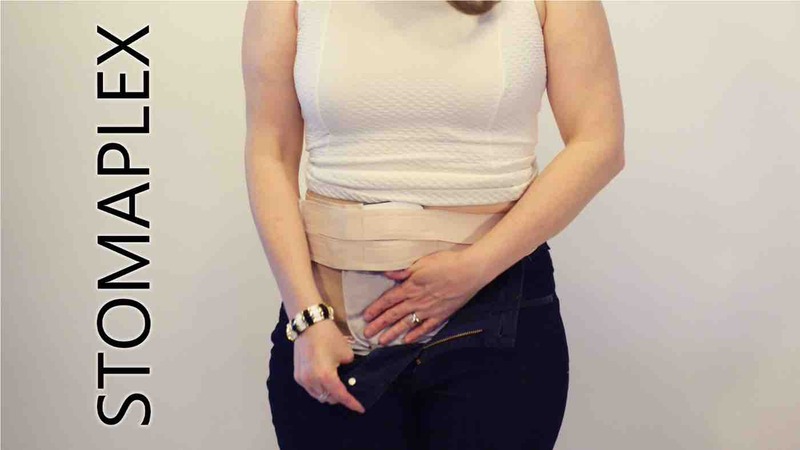 Since it applies direct pressure to the appliance, it extends the wear-time of the appliance and can be used as a parastomal hernia belt for women or men. 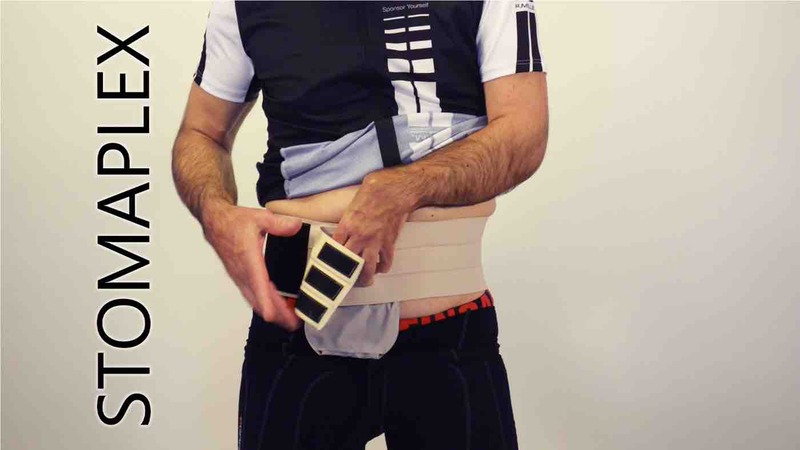 The belt is latex free with a micro-fiber inner surface for maximum comfort and protection. The dual strap design of the belt allows for manual adjustment of the belt tension. This stoma belt is so comfortable, you'll forget you are wearing a belt. 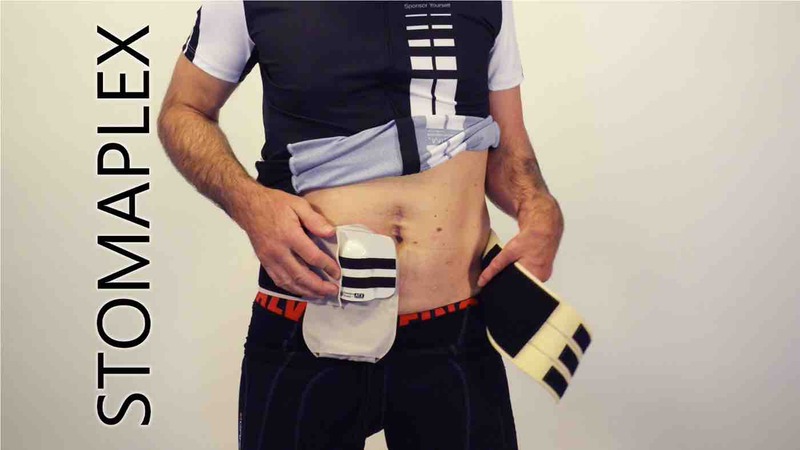 The quick drying ostomy sports belt is great for athletics. 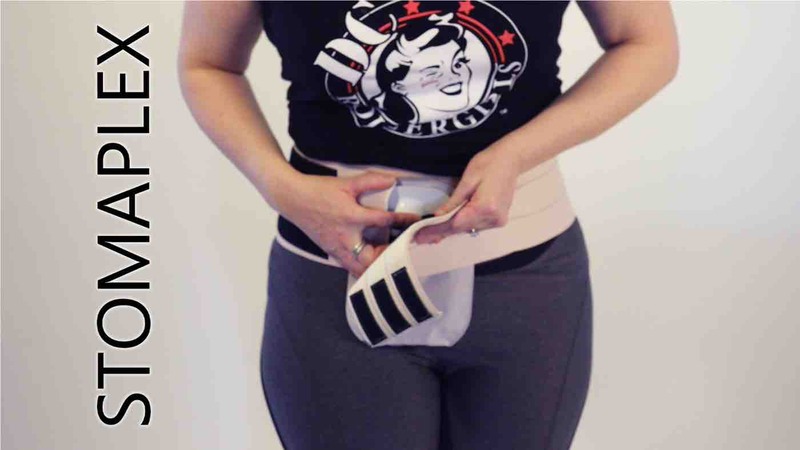 Each guard and belt is custom made to your specific stoma measurements. 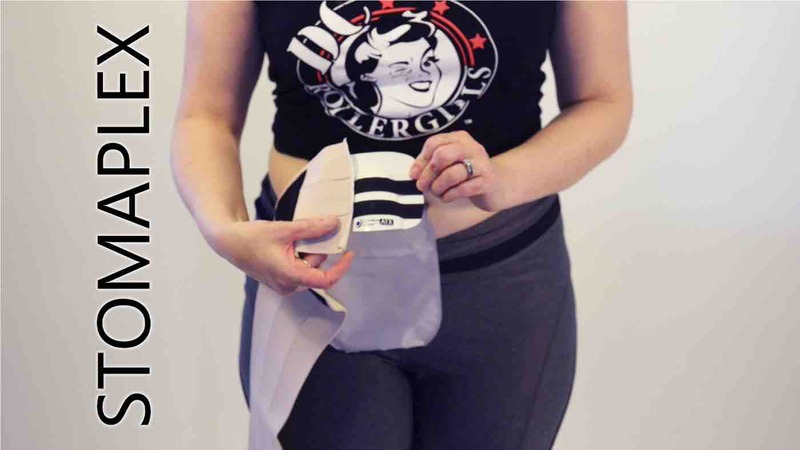 The guard is contoured for maximum protection and comfort while allowing the stoma's output to flow. 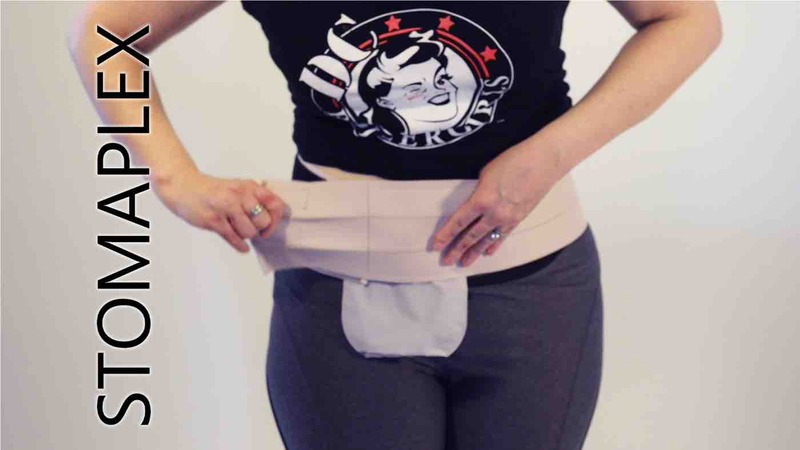 These ostomy bag holders protect from injury. The inside of the guard allows free flow. 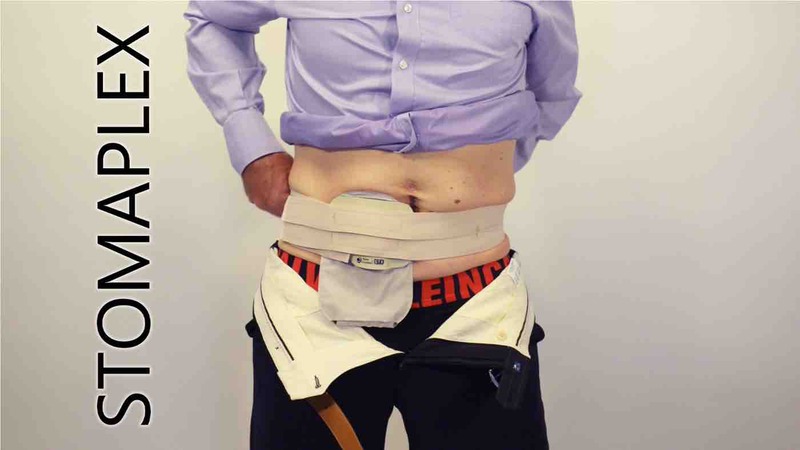 Guard with parastomal support belt for a colostomy belt. 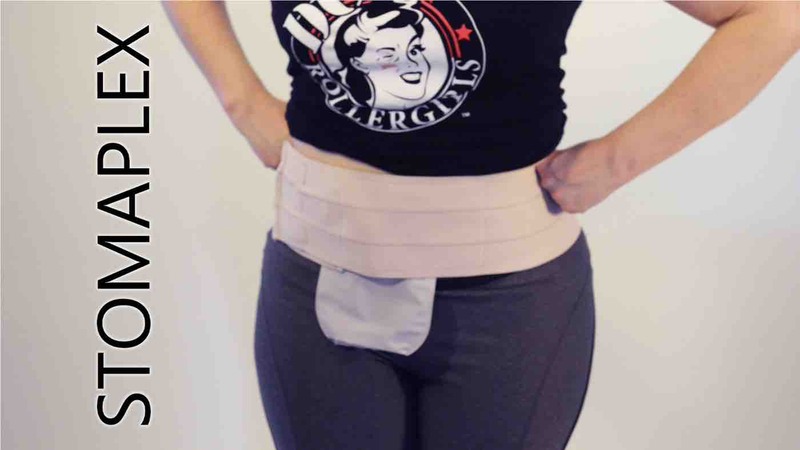 The padding is comfortable with the colostomy belt. Parastomal hernia support feels good. 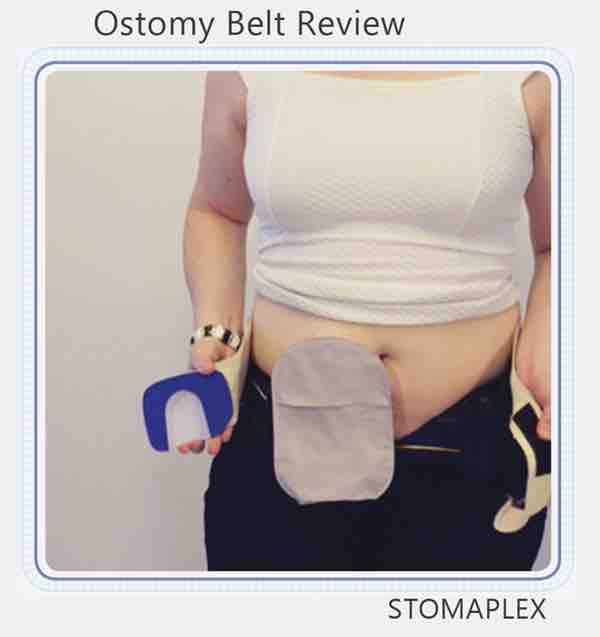 Stomaplex LLC designs and manufactures ostomy products for ostomy protection. All of Stomaplex guards work well with Convatec, Coloplast, and Hollister belts and appliances. 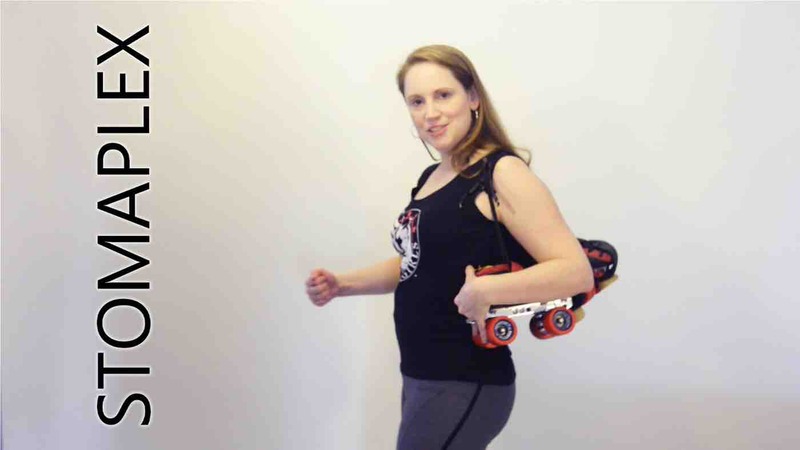 Stomaplex is the only guard that is adjustable in four ways. 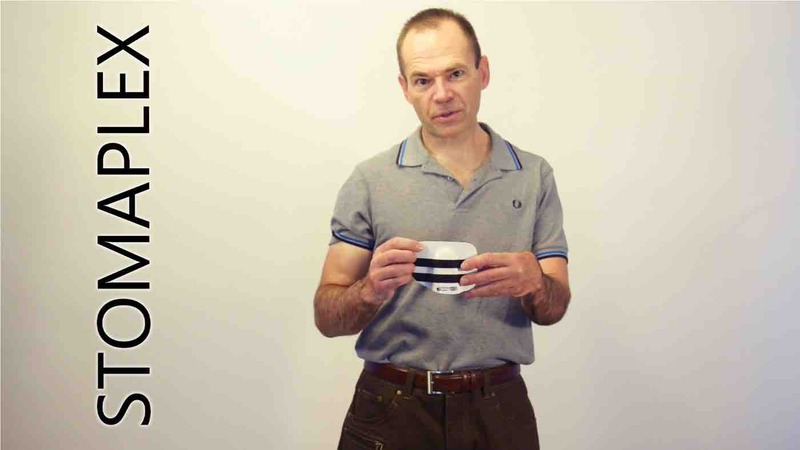 Adjust the depth of the ostomy guard to match the height of your stoma. 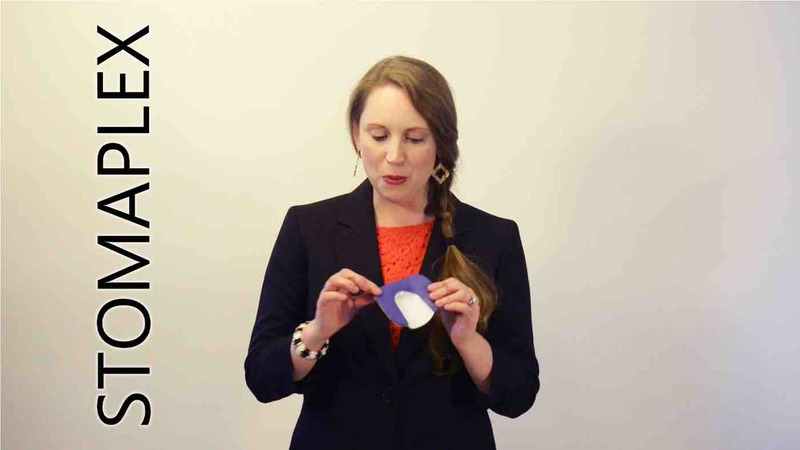 Adjust the width of the channel in the guard to match the diameter of the stoma. 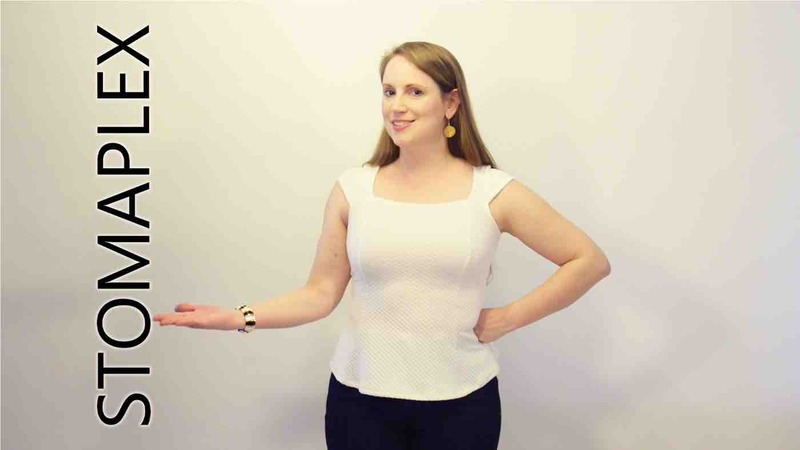 Adjust the height and width of the external dimensions of the guard to fit your waist and your height measurements. 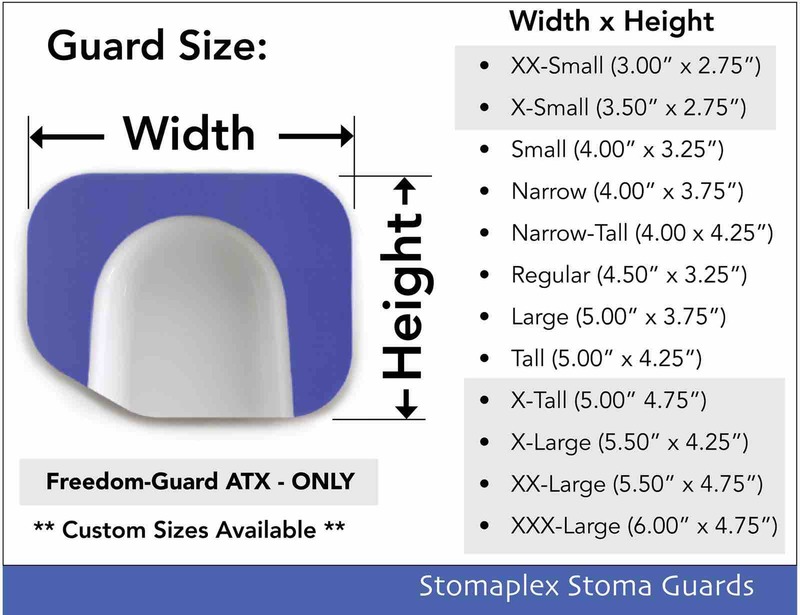 Stomaplex offers the only guard with this many sizing options. All Stomaplex guards include the only belt made with elastic microfiber. The belt wicks away moisture. 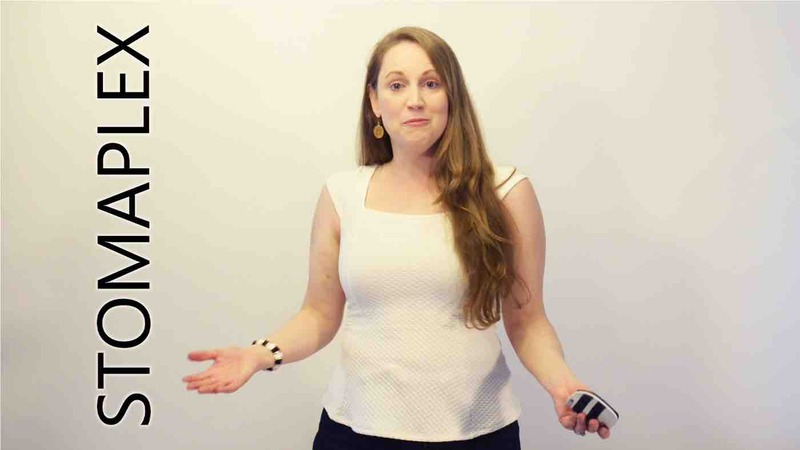 You'll forget that you have an ostomy. 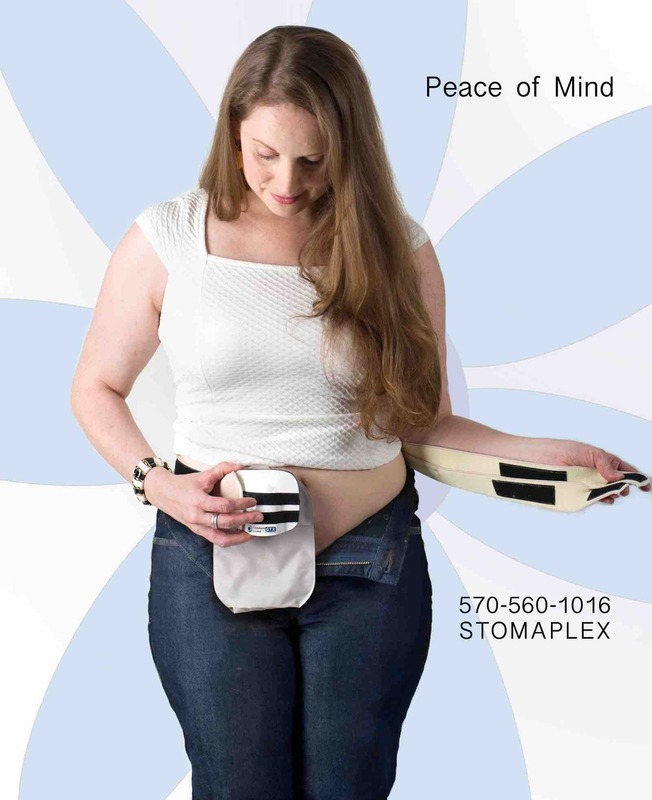 Stomaplex ostomy guards are TSA approved. There is nothing metallic in these products. 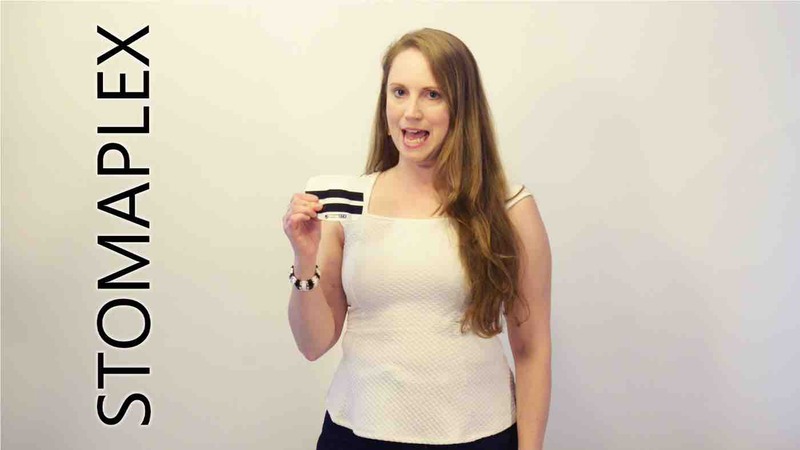 At Stomaplex, you can customize the size of your guard. 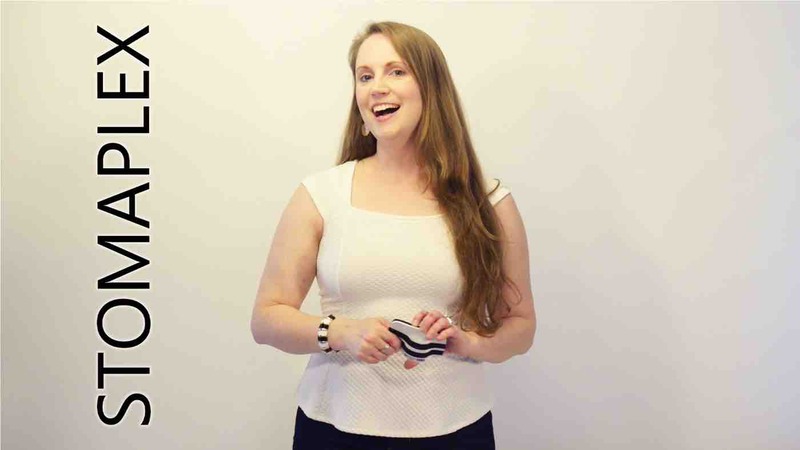 Prevent ostomy leaks with the Equalizer. 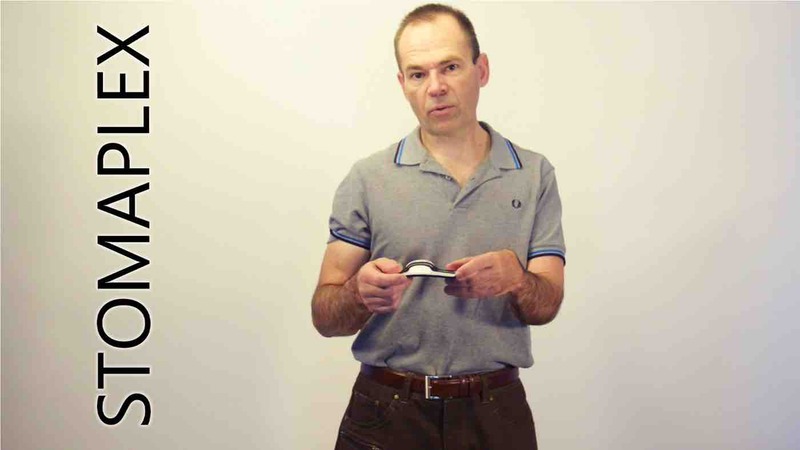 Watch Bob tighten his pants directly over his stoma with his ostomy belt protecting his ostomy. 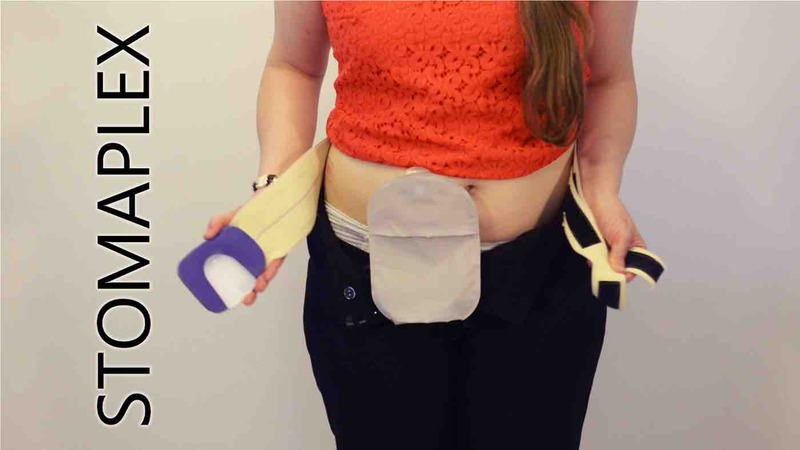 When you need to wear a suit or any special clothing with an ostomy, the main concern is will the stoma's flow be restricted by your clothing and flow freely. With the belt and guard the output will flow freely under the guard. 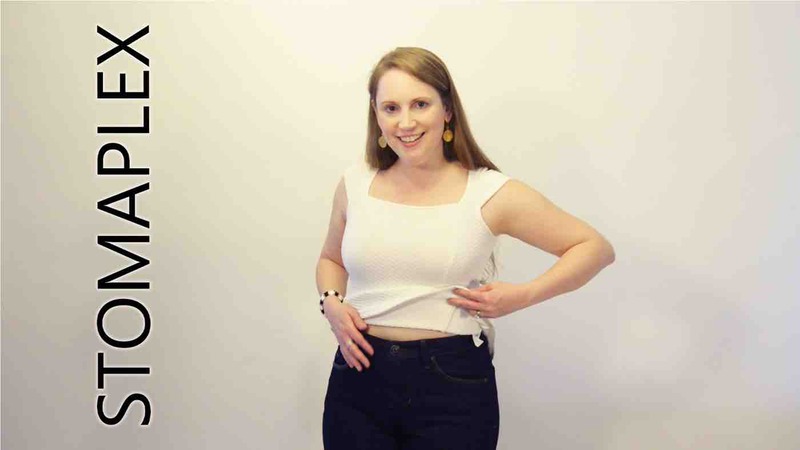 This will allow you to tighten the button on your pants and jeans as tight as you want right over the stoma. 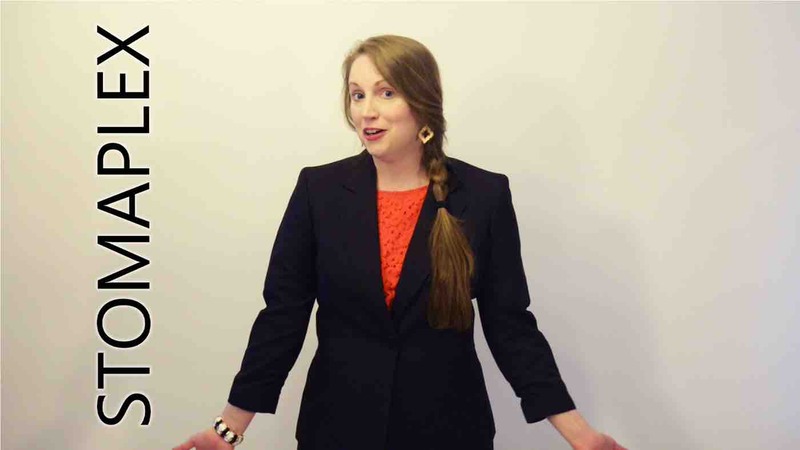 it is important to dress properly for work in the office if you have an ostomy. 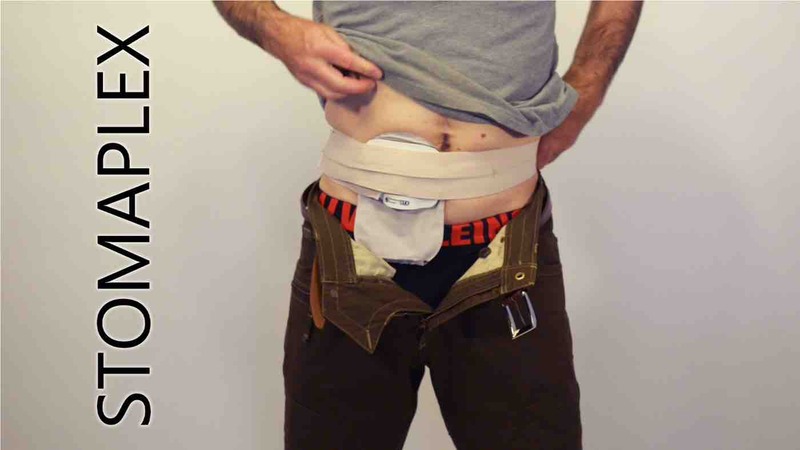 This belt and guard is a product I, and many ostomy patients, have been waiting for - finally someone designed protection that I can recommend to my patients in need. 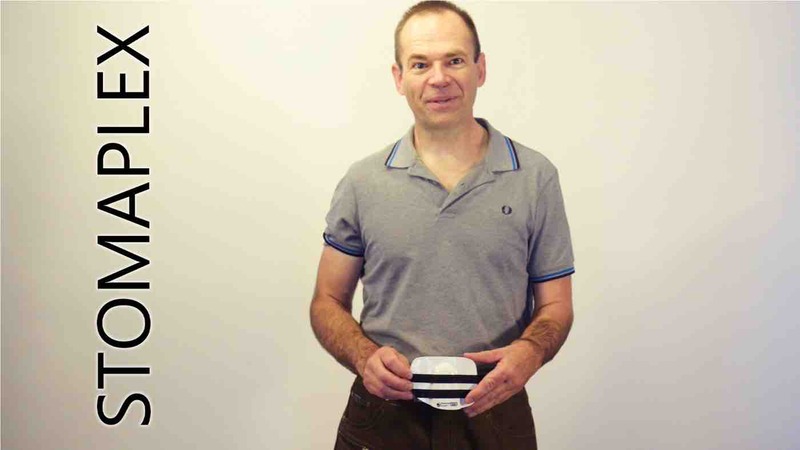 There are many reasons why patients should consider using the protector, the most important being the safety and security they provide. 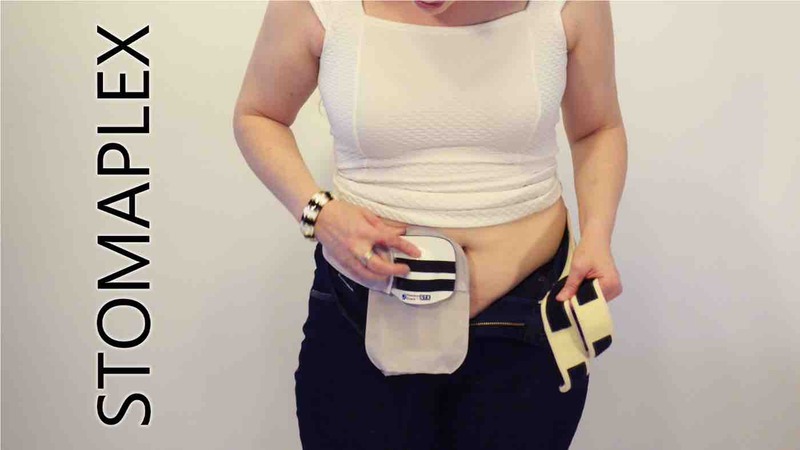 I am so excited to share the news about these products with my ostomy patients. 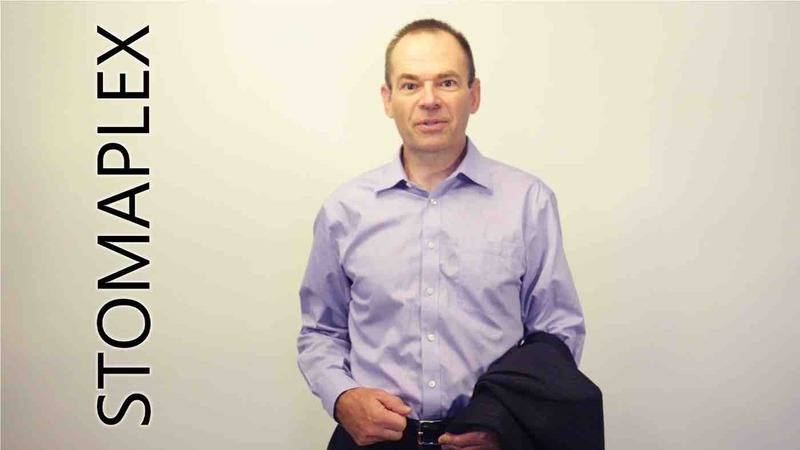 I am recommending them to my patients who need, or want, some added security and support. It is so useful for people who work in various types of jobs like construction, in a factory, or as a counter worker, as well as for various activities such as sports, gardening, or cooking, and those with children or pets. 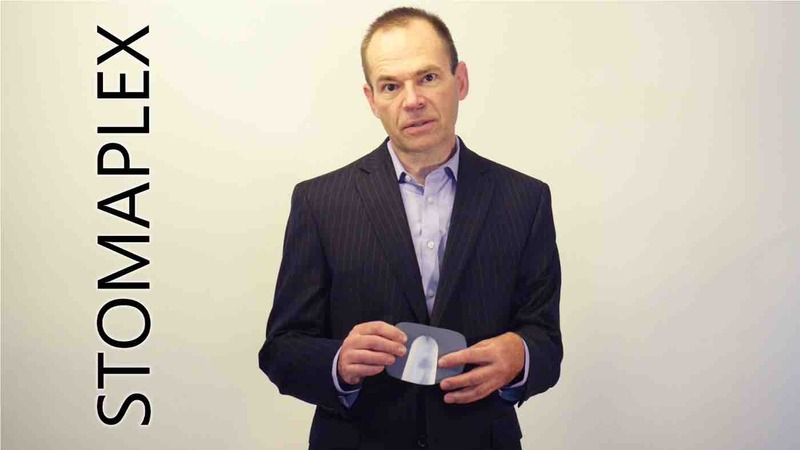 Of course, the number one reason for women and men using the Stomaplex is the ability to safely wear a seatbelt. That is the ultimate in security and support. If you are a veteran of the US, contact your VAMC to learn more about ordering your sports belt and guard. 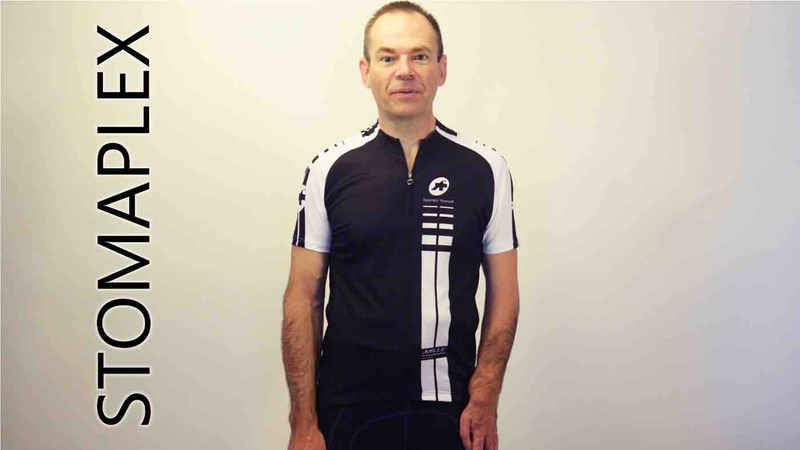 Are you interested in resuming a more active lifestyle but concerned about the need to protect your stoma and appliance? 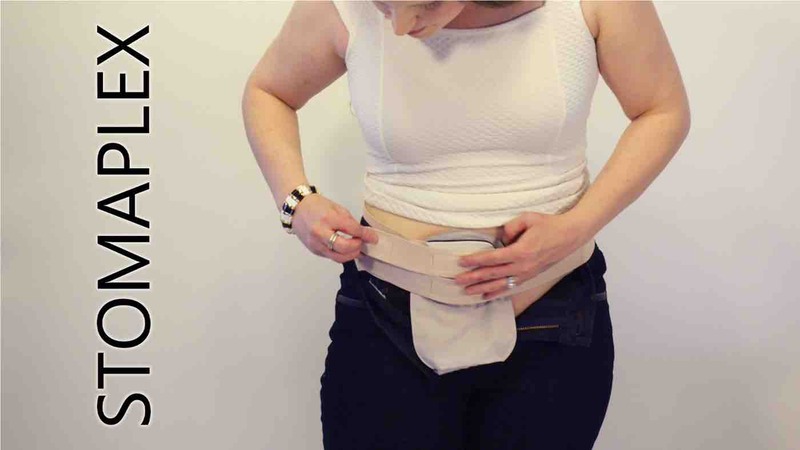 The belt is ideal because it is strong enough to keep your stoma protected from impact, but it is light-weight and flexible enough that you'll forget you have it on. 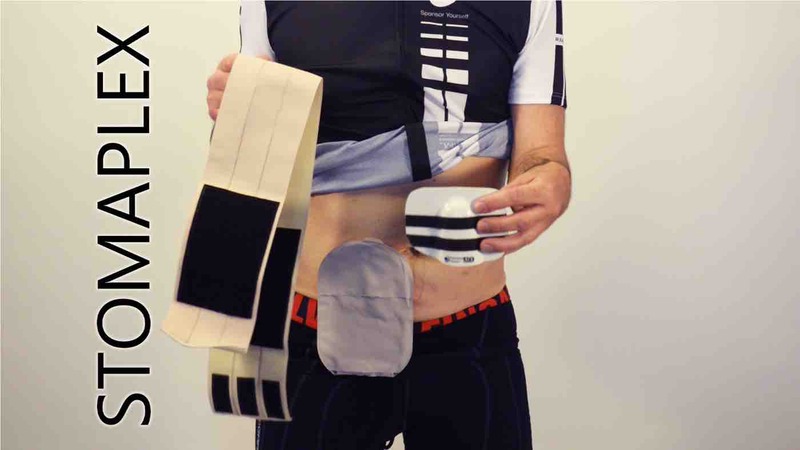 The colostomy belt is also easily washable after a hard work-out, and the rubber pad allows the stoma protector to dry within seconds. 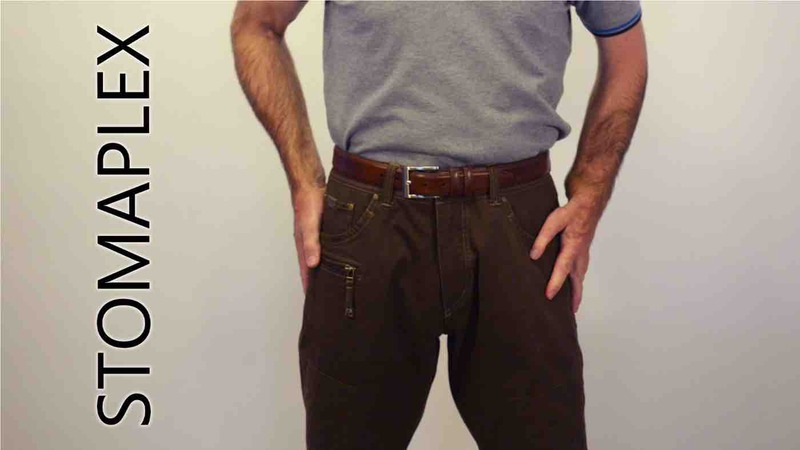 Each belt is made with a performance-grade micro-fiber material, which allows you to customize the pressure with its two straps for the most comfortable fit. 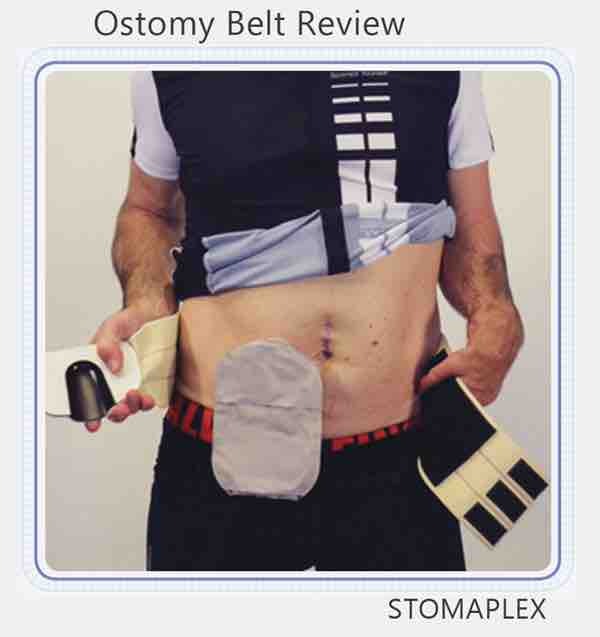 Stomaplex's ostomy bag support belt is designed to be the most comfortable belt for ostomy protection. 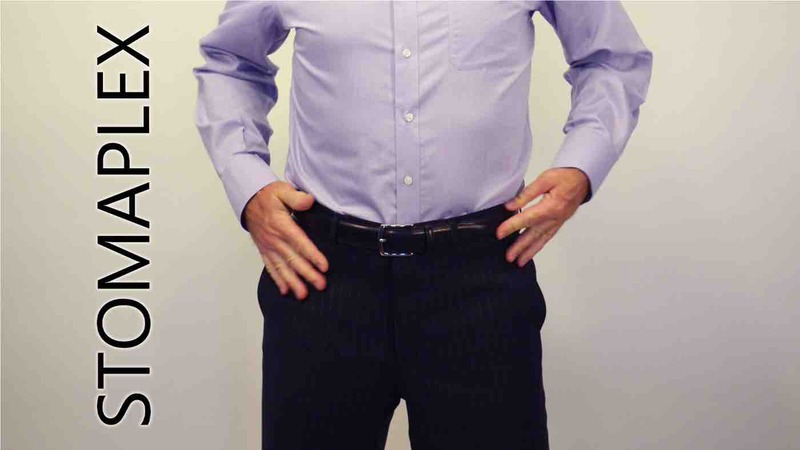 Wear the guard & belt under your clothing for a discrete appearance and feel totally protected. Each belt comes with a guard and elestic belt. The belt attaches with Velcro to the guard and allows for manual adjustment of the belt tension. 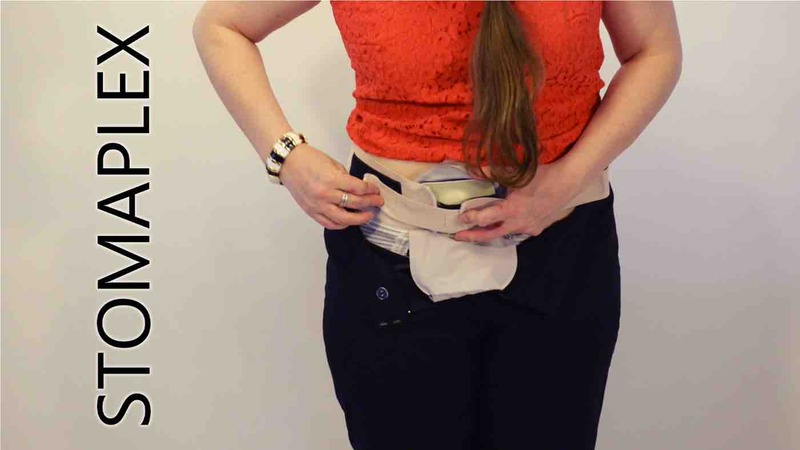 The belts protect the stoma from external contact caused by things like clothes and seatbelts. 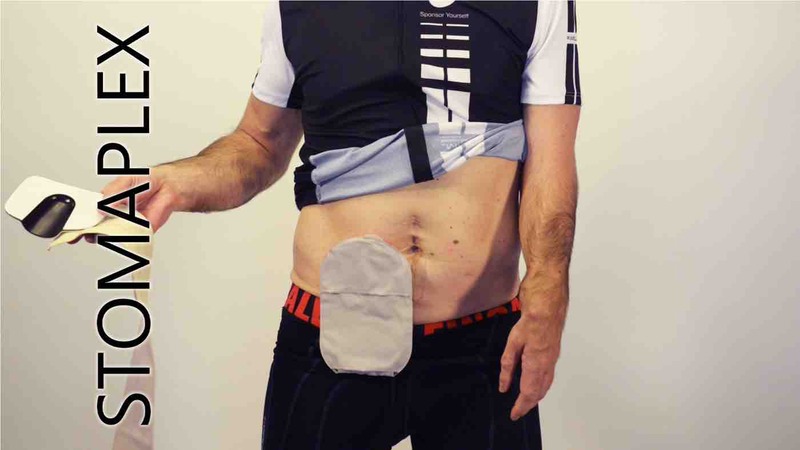 They also allow patients to live a more active lifestyle without needing to be concerned about damaging the stoma through impacts that occur during daily activities and sports. 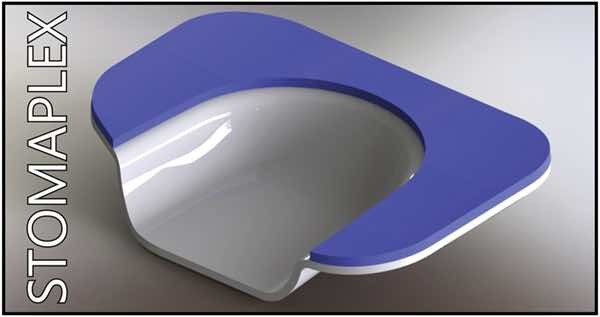 They prevents leaks that can be caused by physical activity, sweating, or spending time in the water. 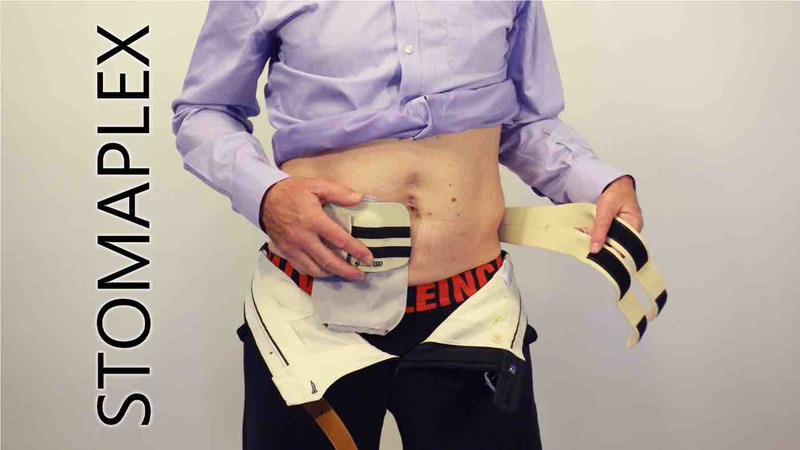 Since the guard apply direct pressure to the appliance, they extend the wear-time of the wafer and can be used as a parastomal hernia belt. 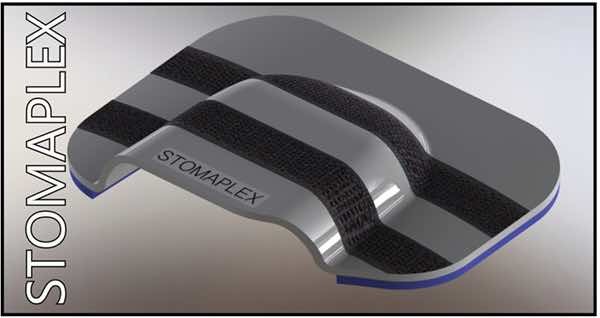 The protective shield of the guard on this belt is held away from the stoma by a shape of the protector that is unique only to Stomaplex. This contoured guard is secured in place by a detachable elastic belt. 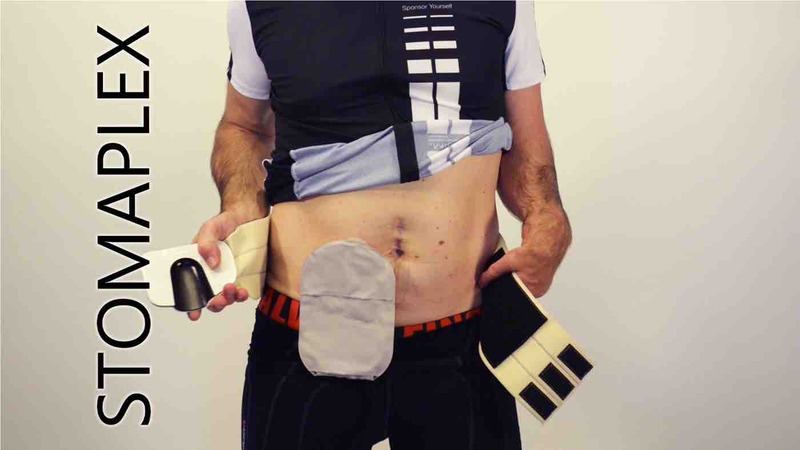 These ostomy products protect the stoma from inadvertent contact. 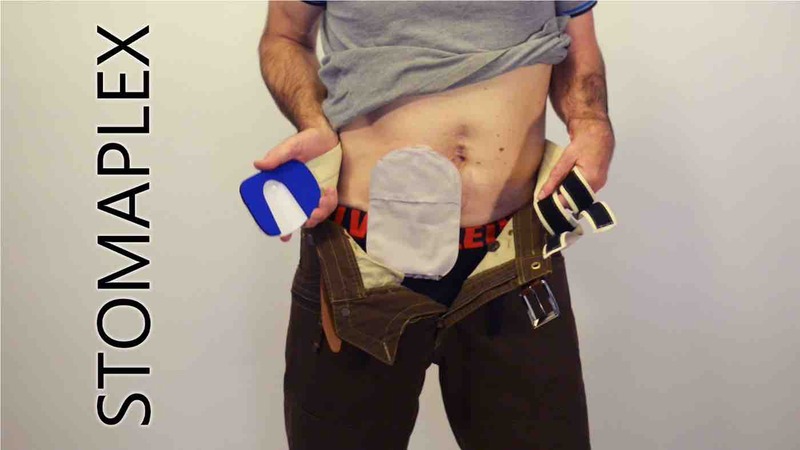 The padding applies pressure on the ostomy appliance assisting in its securement through the ostomy protector, thus reducing the risk of leaks from under the wafer. 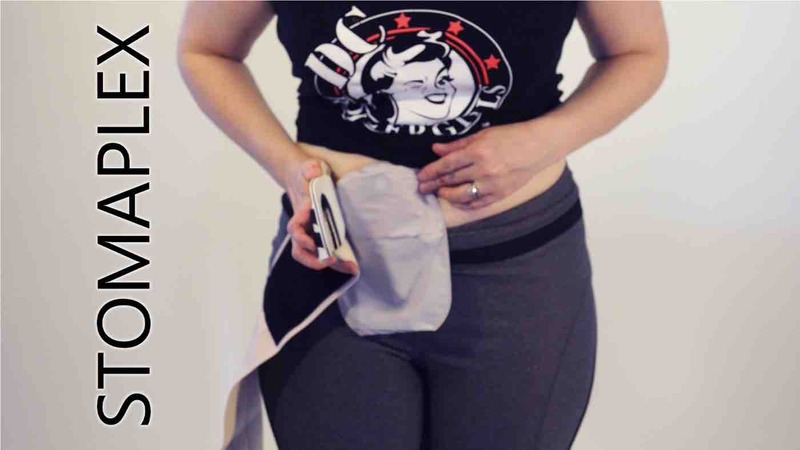 All of these ostomy products allow you to go about all your daily activities with total confidence. 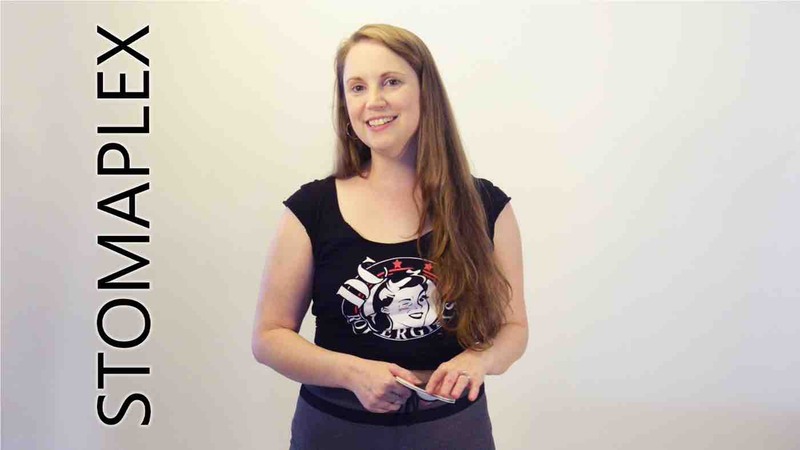 Ostomy leaks are a problem. 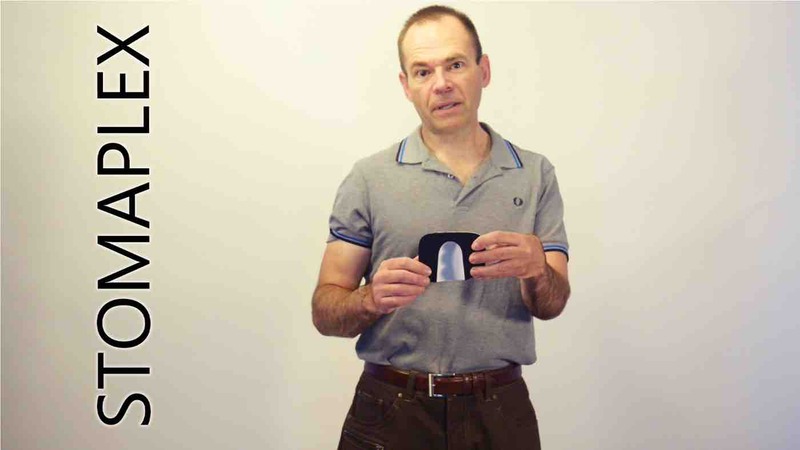 Use the Equalizer to apply pressure on the ostomy appliance. 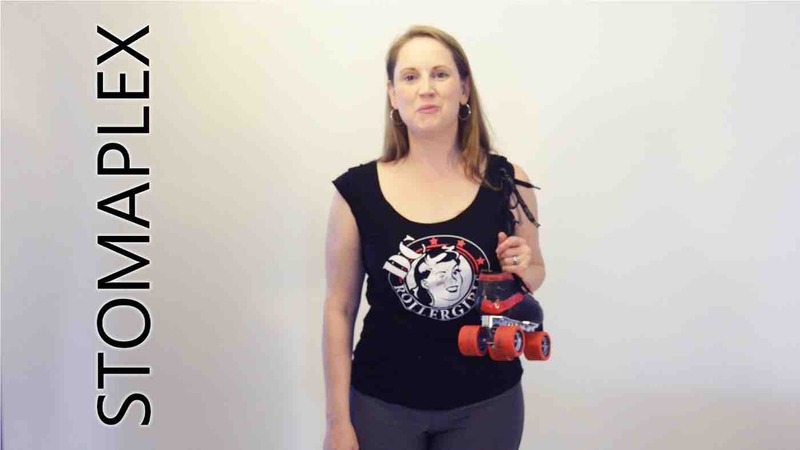 Stop ostomy leaks with the Equalizer. 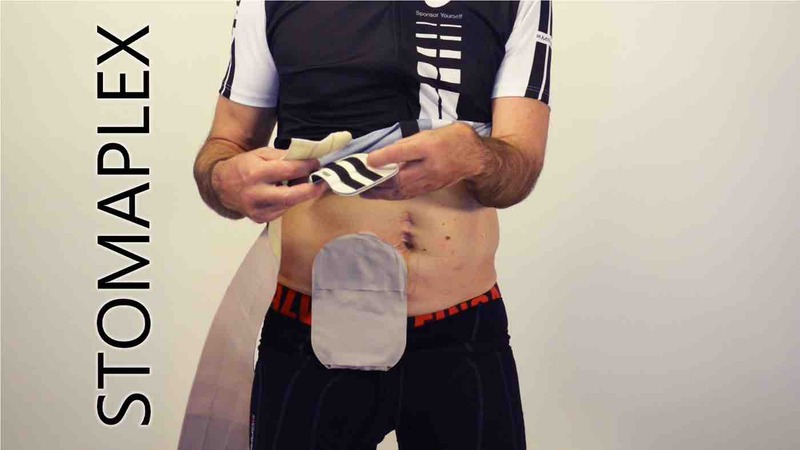 Playing sports with an ostomy is now safe and easy. 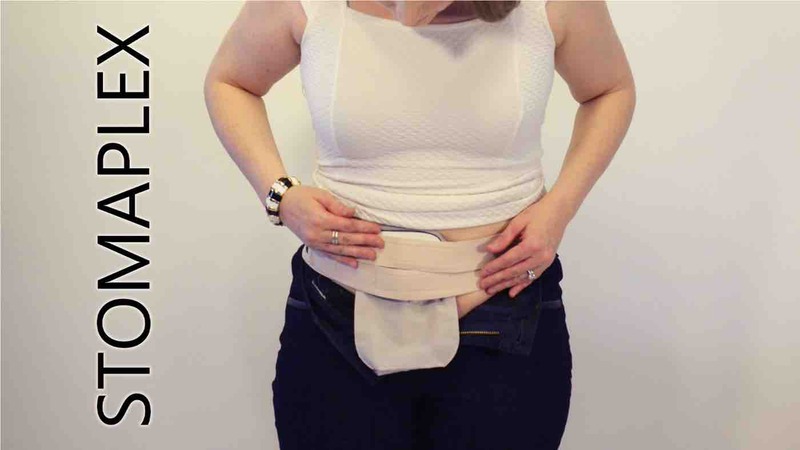 Parastomal hernia support for mother with ileostomy. 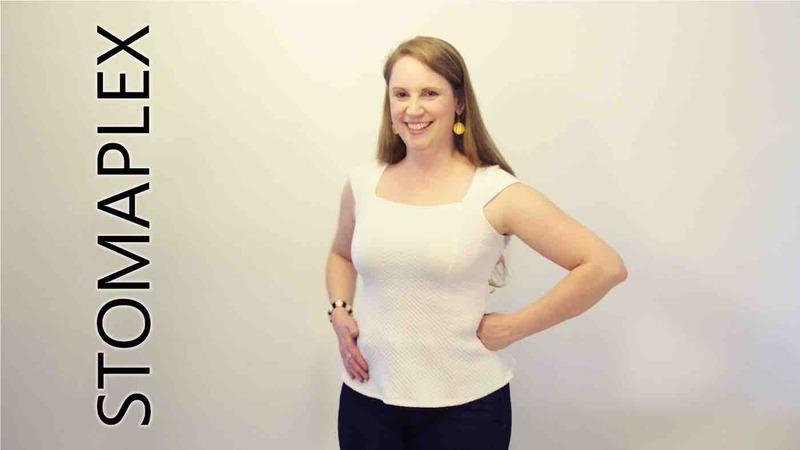 She is confident with the Stomaplex guard over the stoma. 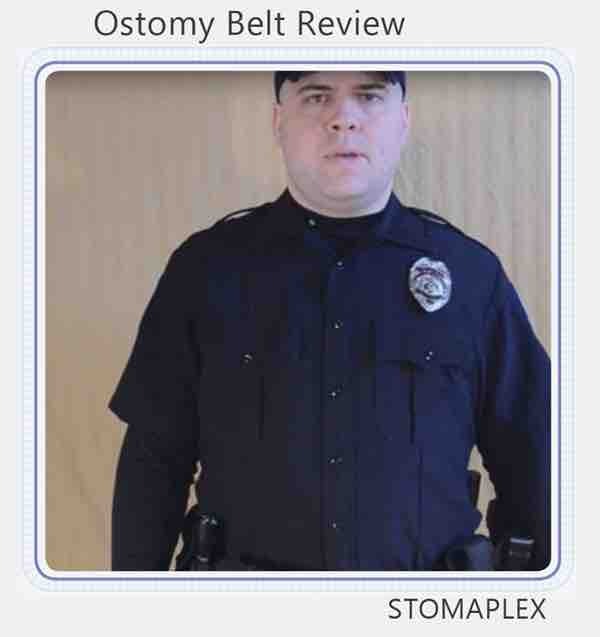 Police officer reviews the stoma protector. She wears the belt and guard during marial arts practice. Stomaplex has allowed me to get back into sports. 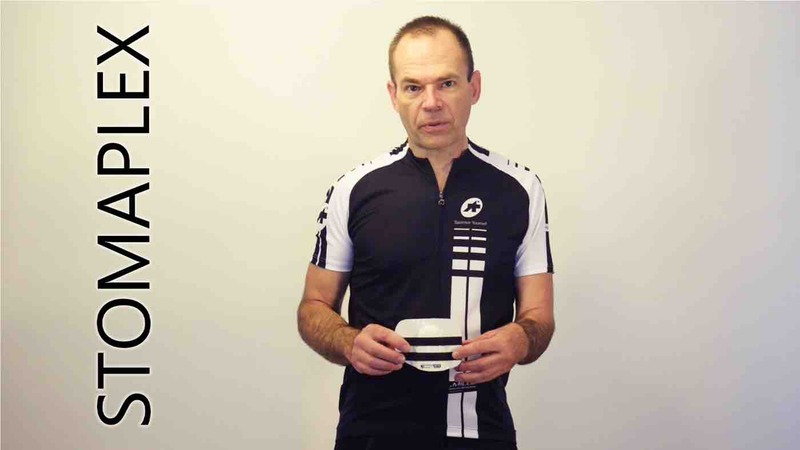 Adjust the tension of the belt. You will notice how soft and comfortable the belt is next to your skin. 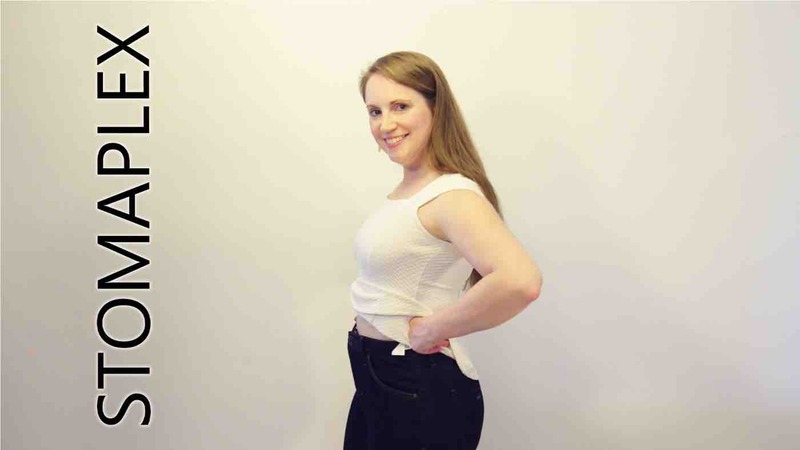 The guards work for anyone with a colostomy, ileostomy, or urostomy. 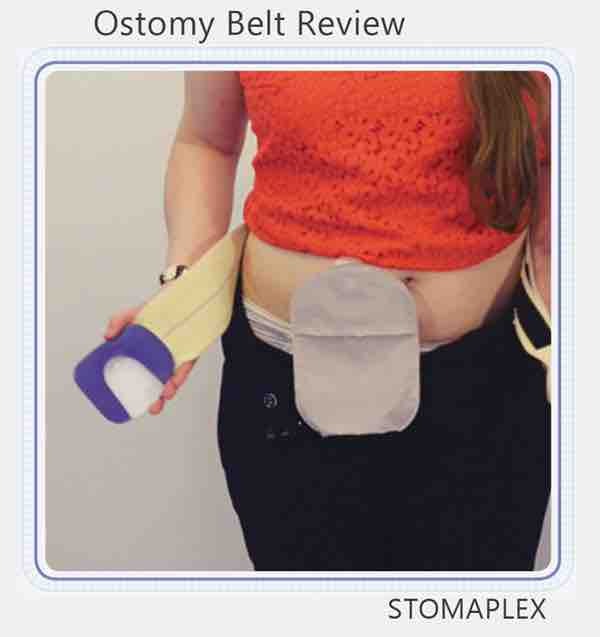 allows for the stoma output to flow freely into the ostomy bag and provide ostomy protection. 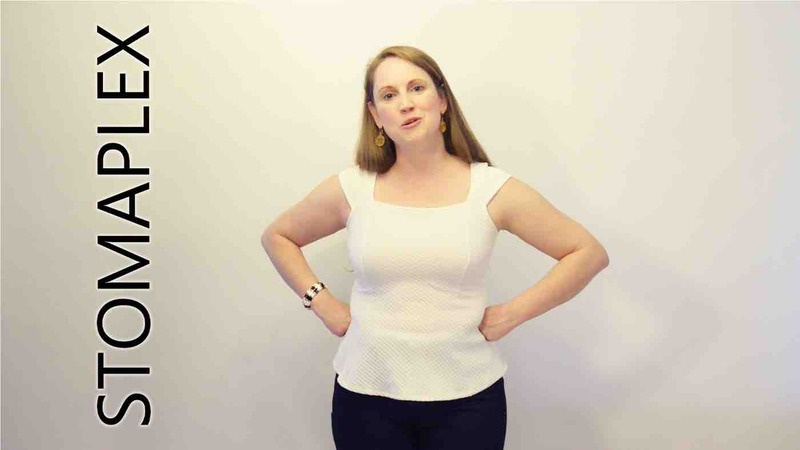 Place the guard over the stoma. The outside surface of the guard is covered with rubber. 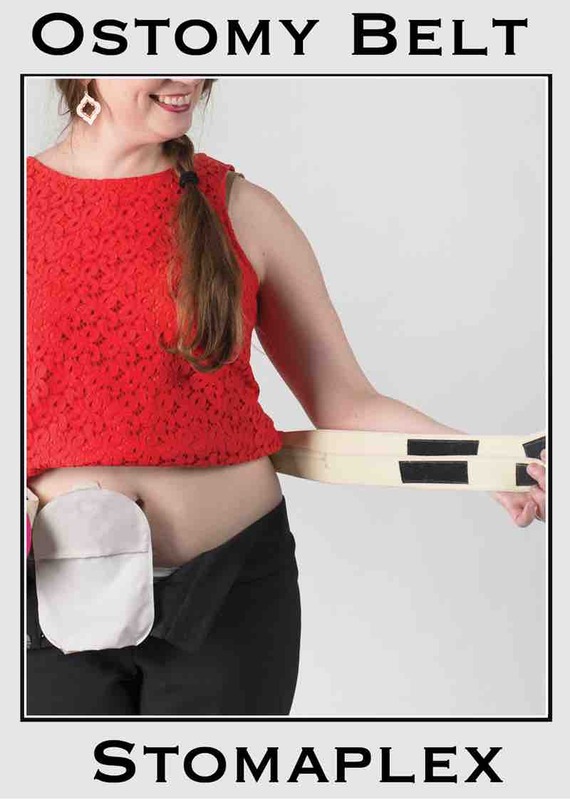 Wear the guard with a horizontal ostomy bag. 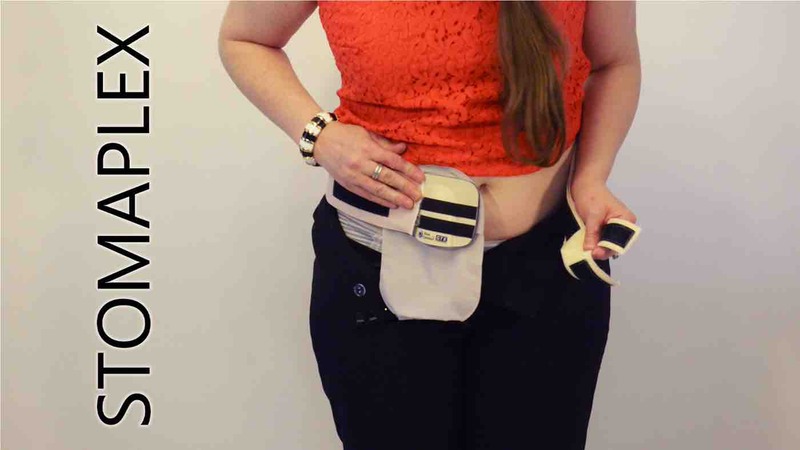 Bring the colostomy belt around and to the front of your body. 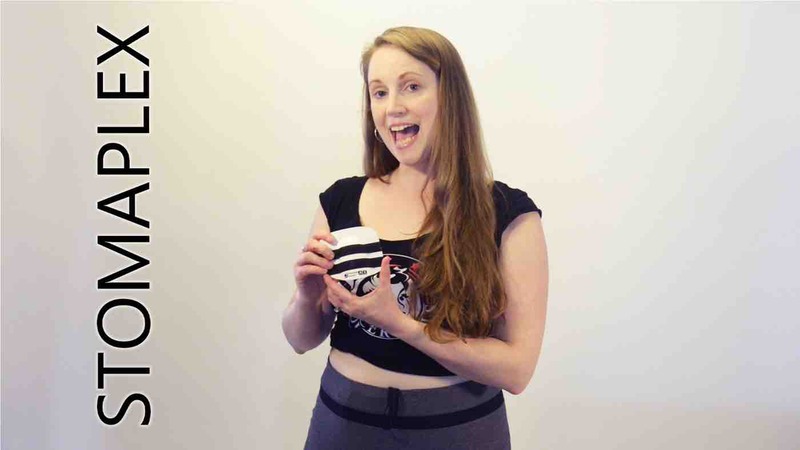 I've found some of the most difficult challenges in adapting to a permanent ileostomy to be the simplest of things, like comfortably wearing normal pants or a seatbelt. 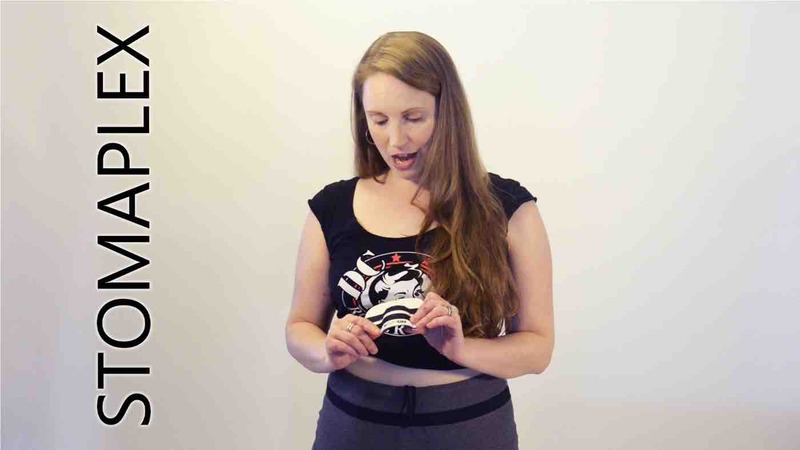 The belt and guard system has proved extremely helpful in accomplishing those basic tasks and also in restoring my confidence and ability to return to many of my previous physical and work activities. 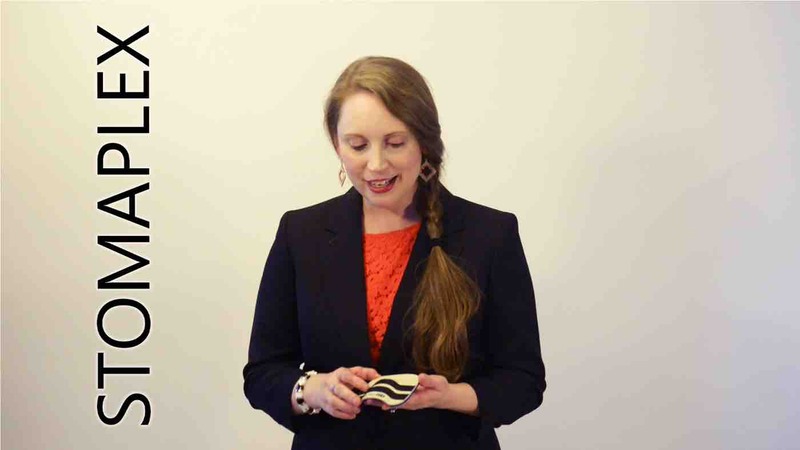 I have tried other similar belts and believe Stomaplex offers the edge in comfort, fit and low-profile appearance. The belt and protector are extremely well designed and made of top quality materials. The secure, highly-adjustable fit also keeps my appliance more firmly in place, which has helped reduce skin irritation and extend wear time with protection. Service is excellent as well, with quick and thorough responses to questions and rapid processing and delivery of orders. I recently purchased my second belt and guard and have also found The Equalizer helpful in ensuring good adhesion of the flange. 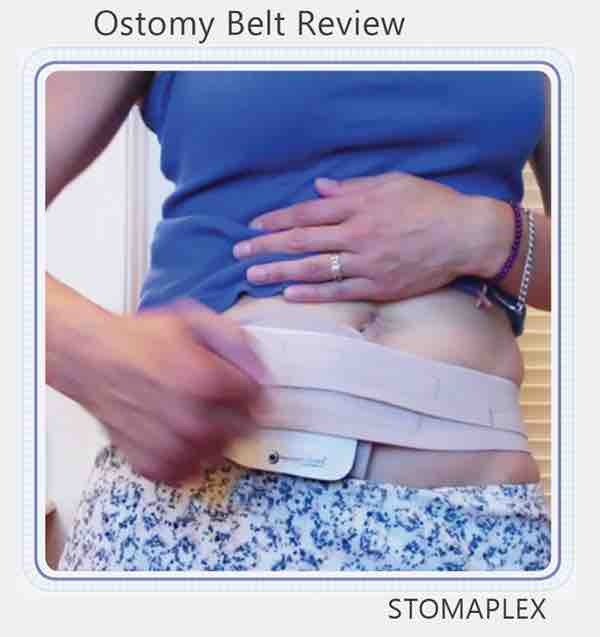 I would highly recommend Stomaplex belt products to anyone seeking to make living with an ostomy a little easier. I just wanted to let you know how impressed I've been with your belt. I had an ileostomy in January after being diagnosed with colon cancer and having to deal with colitis the past 10 years. After the surgery I have a pretty good size stoma that looks like a downspout. I'm a bulk driver for Staples and deal with breaking down and delivering anywhere from 10-15,000 lbs worth of freight every day. I was so scared about going back to work that I wouldn't be able to do all the physical activity that I'm used to doing. During my recovery time before returning to work, I did a bunch of research and came upon your belt. 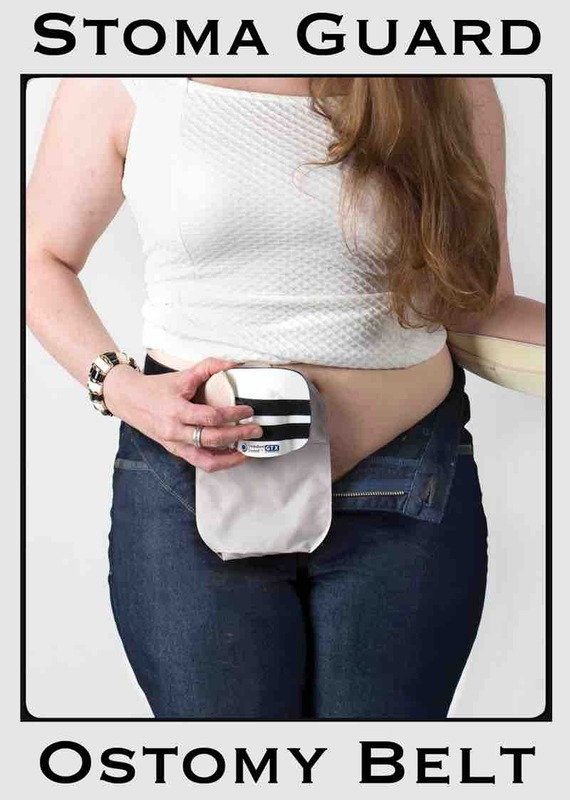 Despite all the testimonials, I was afraid that the ostomy guard would be bulky, but I decided to give the protector a try anyways. All that apprehension went away after the first day of using it. I can't thank you enough about how great your product is. It's so comfortable and durable. It doesn't get in the way and I can work just as hard as I did pre-surgery. It instills a lot of confidence. Thanks again for helping what seemed like a bad situation in January so much better with protection. I'll never work without it! So far I've only owned the belt and guard for a few days, but after wearing it for only an hour my hernia has disappeared. I pushed the hernia inside, put the guard on tight, flexed my abdomen a bit and my hernia has stayed in place since then!! I haven't worn the guard since just to see how it does, and I'm not saying everyone will have this experience, but I can say that I have had a hernia now for 1.5 years (since right after my first surgery to create my ileostomy) and at no time in those 18 months have I been able to "fix" my hernia. I can push it back in but it always popped right back out. Now the stoma protector has been in place for 3 full days with no support whatsoever. 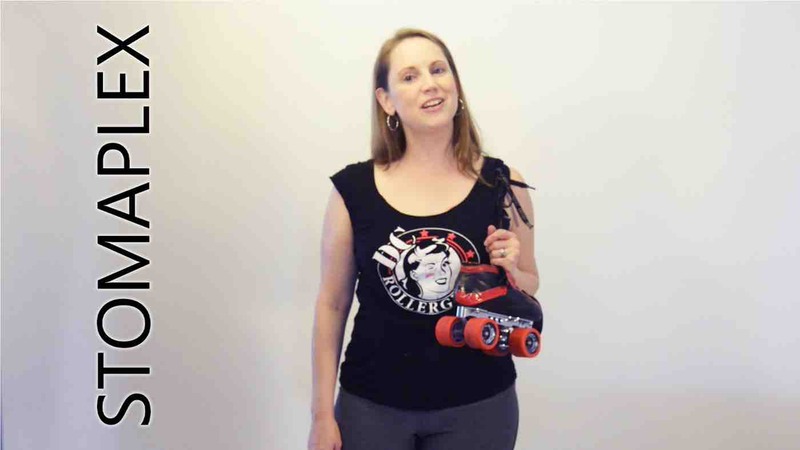 And as far as the rest of the product, it came timely with great support from Bob, it works exactly as stated, the belt and guard are very high quality, packaging was great. I really have no complaints and honestly for me this is going to be a hernia maintenance tool. I don't know what will happen, but if I can push out hernia surgery indefinitely this protection will have paid for itself many times over. 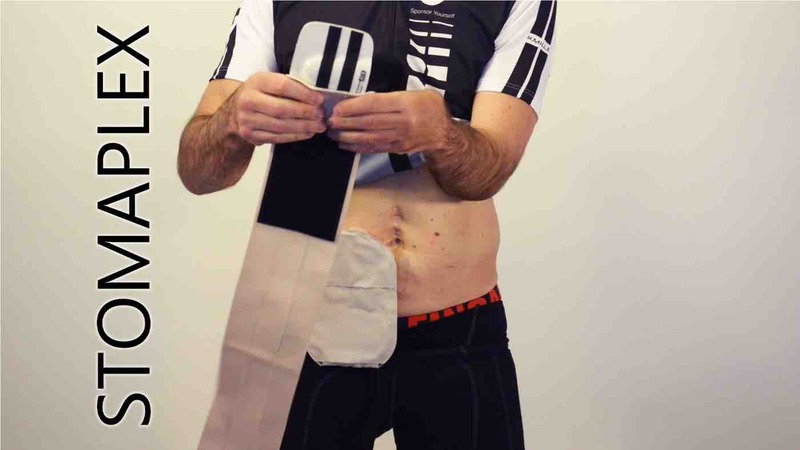 Obviously this is probably a rare experience, but I think this product's potential value in preventing, treating, supporting hernias is amazing. My parastomal hernia has caused me a lot of stress and just to not have it for a few days has given me such a boost. My stomach looks normal again!!! Thank you Bob and your Stomaplex protection.. Unreal. I recently purchased the belt and I LOVE IT! While riding in any vehicle, I was wearing a "donut" pillow (with a hole in the middle) around my stoma to protect it from my seat belt however, the pillow was always shifting under the belt and it never felt secure. Having to bring my "special" pillow into different vehicles made me feel exposed as if I was announcing myself as an ostomate. If I was driving, I spent as much time fiddling with the pillow as I did handling the steering wheel! Not good... 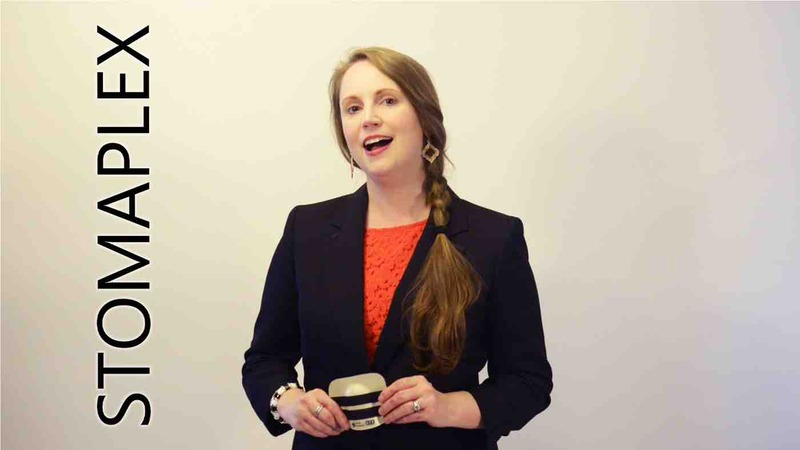 The belt stays put on my body - secure and snug - without being too tight or binding on me. I love that I can adjust the soft, comfortable straps for either a looser or tighter fit. I literally strap it on and go - and forget about it! One of the best features to me is that I don't have to remove the belt to empty my pouch. I simply push it up higher on my stomach and I'm good to do whatever I need to do, then lift and push it back down into place. It's really easy to use. 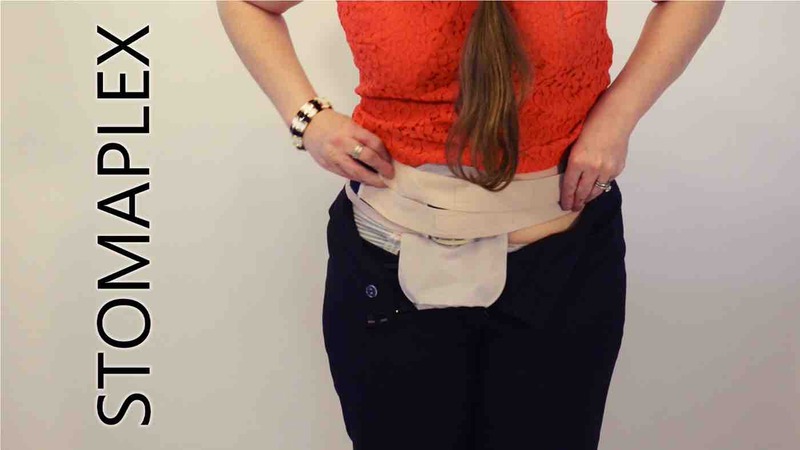 I have also tried another "guard" type currently on the market but because it didn't allow for output like this belt does it created a big mess inside my pouch doubling my clean up time and this made me feel worse about having my ostomy. 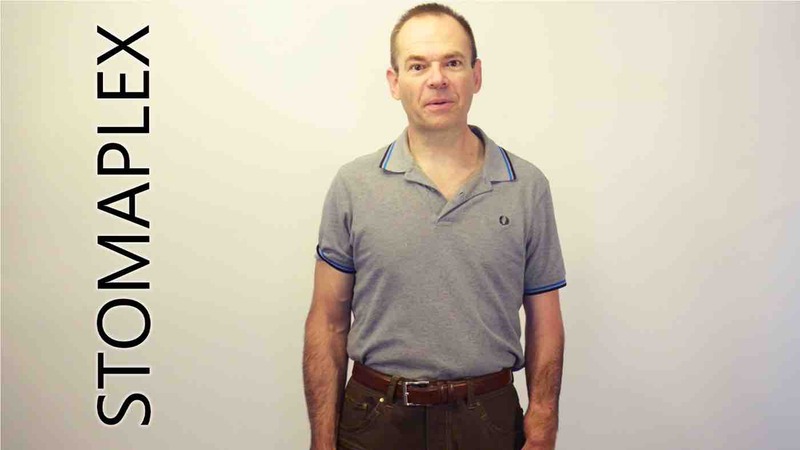 This belt from Stomaplex however allows me to put it on - and FORGET about it! I go about my day as usual with no worries. Now that's PROTECTION!! Thanks Bob! !